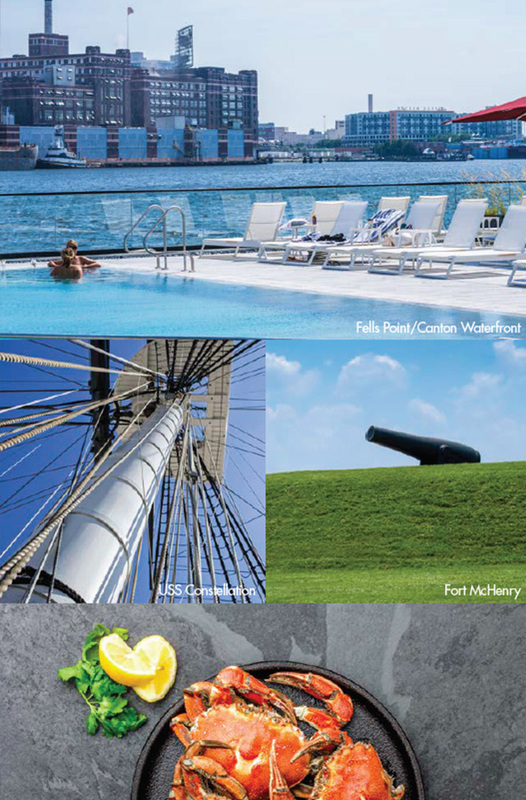 Begin your week in the "Charm City" of Baltimore, whose harbor has served as an important seaport. It was here, at Fort McHenry, where the U.S. national anthem, "The Star-Spangled Banner" was penned and, in a nod to the battles fought and won in its harbor, where the Civil War-era ship the USS Constellation sits on display. As you board your luxurious home away from home, enjoy a refreshing cocktail and a warm welcome by Usher's professional crew before settling into your stateroom. Nibble canapÃ©s prepared by the chef as your yacht gets underway for the two-hour cruise to Maryland's capital city of Annapolis. Spend the afternoon exploring this delightful waterside town, which boasts strong sailing traditions and a thriving historic district. Stroll the waterfront grounds of the U.S. Naval Academy with its Beaux-Arts architecture and museum; visit the 1772 Maryland State House, the oldest state capitol building in the U.S.; or tour the 1774 Hammond-Harwood House with preserved reminders of the British colonial period. Cap off a day of retracing history's footsteps with a dinner at Osteria 177 on historic Main Street or have Usher's luxurious tender, Scout, transport you to the award-winning Point Crab House and Grill for a waterfront seafood dining experience. As the sun burns off the morning chill, Usher will get underway for a two-hour cruise through the beautiful Chesapeake Bay to the Miles River and the tranquil waters that surround the harbor town of St. Michaels. While en route, keep an eye out for wayward Florida manatees who sometimes find their way to the Bay. 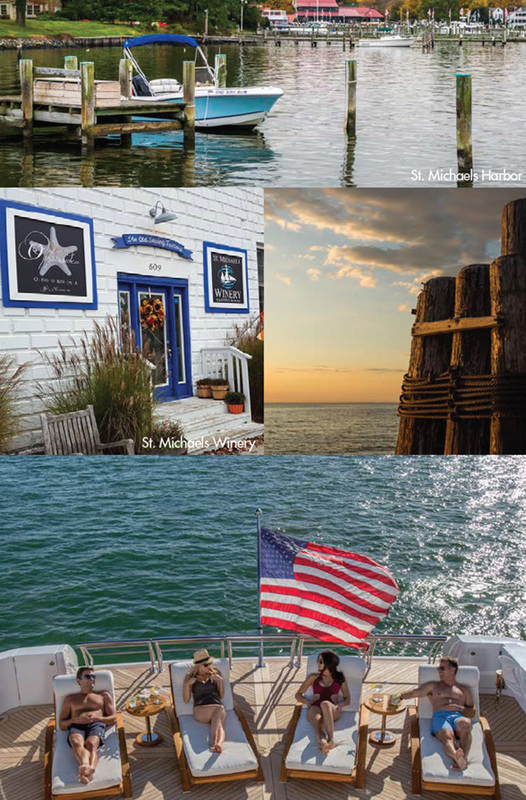 Its name derived from an Episcopal church established in the town in 1677, St. Michaels is a quintessentially charming coastal town that takes pride in a rich maritime history and offers exceptional restaurants, boutique shops and eclectic galleries. Spend the day wandering through the town, with its homes that date back to the mid 1600s, and peruse artifacts and vessels from the area's maritime history at the Chesapeake Bay Maritime Museum. After a delightful luncheon onboard, it's time to get into the "spirit" of St. Michaels with an afternoon excursion to Lyon Distilling Company, St. Michaels Winery, and/or Eastern Shore Brewing Company. St. Michaels offers plenty of cultural events during the year, and oenophiles will particularly enjoy the summer wine festivals. Enjoy a gourmet, Chesapeake-inspired dinner at the fine dining restaurant, 208 Talbot, before returning to Usher for a digestif on the aft deck amidst the stars. After a leisurely breakfast and perhaps some last-minute shopping, enjoy a two-hour, 15-minute cruise to the sleepy town of Oxford. With less than 1,000 inhabitants and rich maritime traditions that continue to present day, Oxford is one of the oldest towns in America. You may see locals unloading the day's catch as you disembark to explore this charming haven that has sheltered itself from the modern waterfront amenities seen in other towns, preferring instead to remain true to its history and traditions. Visit the Oxford Museum to learn about the town's nearly 350 years of colonial and American history and tour the Oxford Custom House, an exact replica of the first Federal Custom House. Oyster harvest season in the Chesapeake runs from October 1 - March 31, however even if you visit out of season you can still take an afternoon tour in a traditional skipjack to learn about how oysters are farmed and harvested and their importance to life in the Chesapeake Bay. You'll feel like you've stepped back in time when you sit down for dinner at the Robert Morris Inn this evening. Built in 1710, it is the oldest inn in America, frequented by the likes of George Washington and, more recently, author James Michener. After a decadent housemade dessert of Pavlova or Sticky Toffee Pudding, you'll be ready to retire to your sumptuous stateroom in preparation for another history-filled day. A two-and-a-half-hour cruise takes you to Solomons Island this morning, where the waterfront village beckons with unique shops, quaint bed and breakfasts, and charming seafood restaurants. 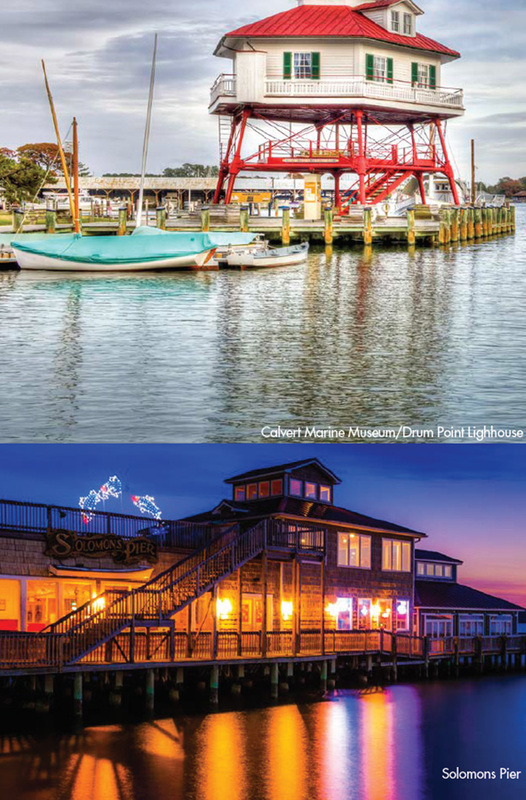 A popular boating destination, Solomons Island is home to the iconic Drum Point Lighthouse and Calvert Marine Museum, which showcases how a Prehistoric past, natural environment and maritime heritage have merged to create the unique story of Chesapeake Bay. After exploring the village or visiting the Annmarie Gardens and Sculpture Park, step aboard the Scout tender to navigate the island and tour the Patuxent River. After a morning of touring, stop for a cocktail and a waterfront view at Solomons Pier. 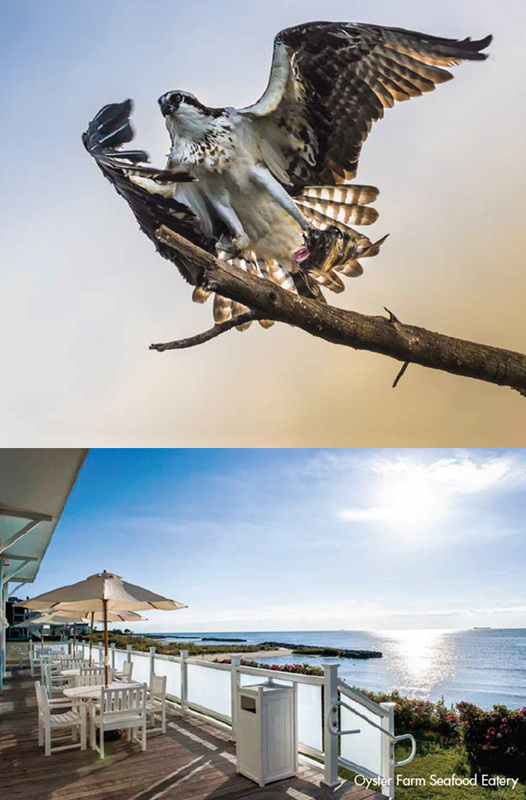 Your crew will arrange for a delightful private BBQ on a secluded beach where you'll relax as the afternoon wanes. Back onboard, cozy up for a movie and some midnight snacks specially prepared by the chef. Usher will get underway at first light this morning for the six-hour cruise to Cape Charles, Virginia. Once a port for ferry service between Norfolk and Hampton, the old railroad town of Cape Charles is now primarily a vacation destination sought after for its stunning beaches and natural splendor. Cape Charles offers two signature golf courses, one designed by Arnold Palmer and the other by Jack Nicklaus, and avid golfers will appreciate an afternoon teatime taking in the beauty of this pristine area. Naturists will enjoy the state parks and wildlife refuges - the Kiptopeke State Park offers plenty of walking trails and wildlife ready to be photographed. History buffs won't want to miss a stroll through the seven-block section of Cape Charles Historic District that offers beautiful restored homes, shops, restaurants and antique dealers. Visit the Eyre Hall, a plantation house that has been in the same family since 1668 and is one of the best-preserved colonial homes with gardens that are among the oldest in the U.S.
Dinner tonight will be enjoyed at a waterfront table at the gorgeous Oyster Farm Seafood Eatery where you'll dine on the day's fresh catch, fresh local shellfish and a wide selection of locally-inspired dishes. 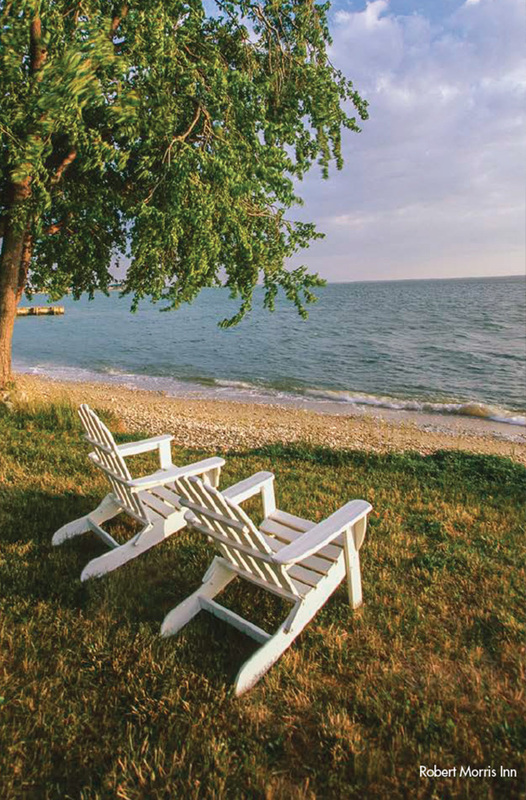 Spend the morning relaxing on the secluded beach before getting underway for a two-hour cruise to the historic city of Yorktown, Virginia. One of the eight original shires formed in colonial Virginia in 1682, Yorktown is known for its historic past, which includes being the site of famous battles during the American Revolution and Civil War. 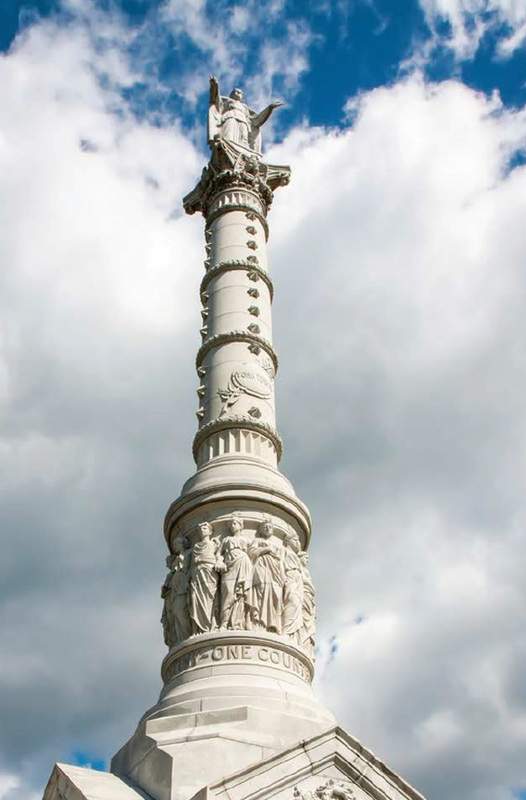 Yorktown wears its colonial history proudly and embodies a uniquely charming style, where visitors can peruse shops lining cobblestone streets, visit famous historical sites and re-enactments, and simply enjoy the view from this beautiful waterfront city. Spend the day re-tracing the footsteps of the people and events that shaped America's beginnings. Visit Colonial National Historical Park, which comprises the beautiful Jamestown, the first permanent settlement in North America as well as the Yorktown Battlefield, which was the site of the final major battle of the Revolutionary War in 1781. These two sites are connected by the scenic 23-mile Colonial Parkway that meanders through natural habitats as well as the charming city of Williamsburg. Visit the American Revolution Museum to learn the full story of the colonists' quest for freedom and enjoy the charming shops peddling artisan goods and antiquities. Aficionados may enjoy an afternoon wandering the Williamsburg Tasting Trail, which includes stops at old taverns, local wineries and craft breweries, distilleries and meaderies. 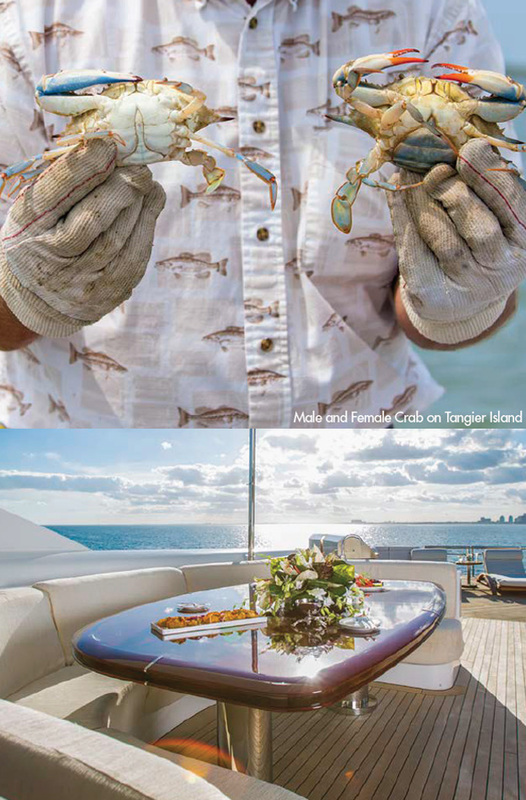 On your last full day onboard Usher, make the most of this fabulous yacht's onboard amenities during the three-hour, 45-minute cruise from Yorktown to Tangier Island. Enjoy breakfast on the bridge deck while the beautiful scenery passes by. Uniquely preserved, Tangier Island is home to less than 500 residents and here you'll hear the distinct accent that stems from the Old English dialect. Discovered by Captain John Smith in 1608 and claimed by the British, this island was home to freed slaves and early British settlers whose descendants remain on this tiny slip of land adrift in the middle of the Chesapeake Bay. The water tower, emblazoned with a painted cross on one side and a blue crab on the other, proudly displays what drives the island: faith and fishing. Designated a "dry" island, there is no alcohol for sale in the island's single grocery store or restaurants. Step back in time as you wander or bike around the quaint town and peruse the Tangier History Museum. Don't miss lunch of a soft-shell crab sandwich, a local specialty. Later, enjoy a sunset barbecue on the beautiful and secluded beach.